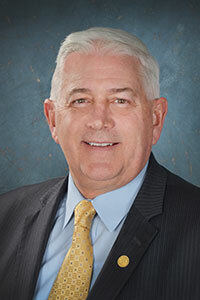 LANSING, Mich. — State Sen. Ken Horn’s legislation to assist Buena Vista with an ongoing issue that stemmed from the dissolution of the school district in 2013 passed the Senate Thursday. Senate Bill 356 provides a mechanism for the Saginaw, Frankenmuth and Bridgeport school districts to start collecting non-homestead taxes for territory that was inherited through the Buena Vista dissolution. All money collected must first go toward paying down the Buena Vista debt, currently estimated at approximately $700,000, until the amount is paid in full. $1.6 million in revenue which, prior to dissolution, was used to support the cost of the district’s per-pupil foundation allowance, with the state paying whatever was not covered by the $1.6 million. Until the debt is repaid, the state is indirectly also paying that $1.6 million through higher state share foundation allowance costs paid to the receiving districts since the districts themselves cannot currently collect that revenue. If the receiving districts had the ability to levy taxes themselves, as this bill would allow, the operating debt held by Buena Vista could be repaid in just one year. The $1.6 million to cover operational costs could then be levied by the receiving districts, thereby reducing state costs in the same amount. SB 356 is now before the House of Representatives Appropriations Committee for consideration.